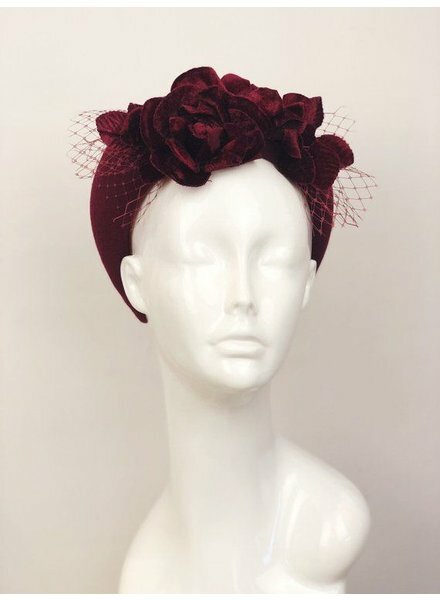 This Patricia Melican Millinery burgundy Pheobe Crown fascinator features velvet flowers and netting. 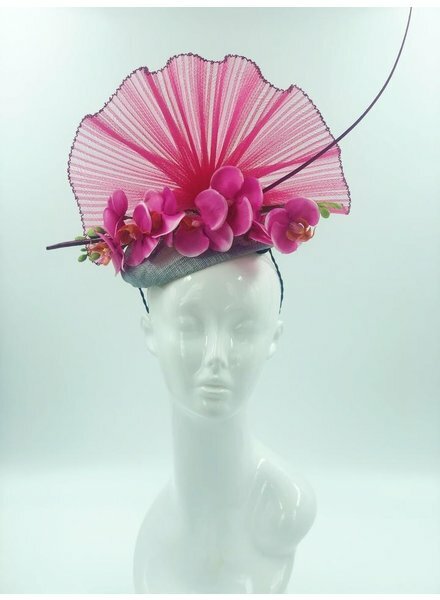 This is a hand-blocked fascinator made with materials imported from Australia and Europe. 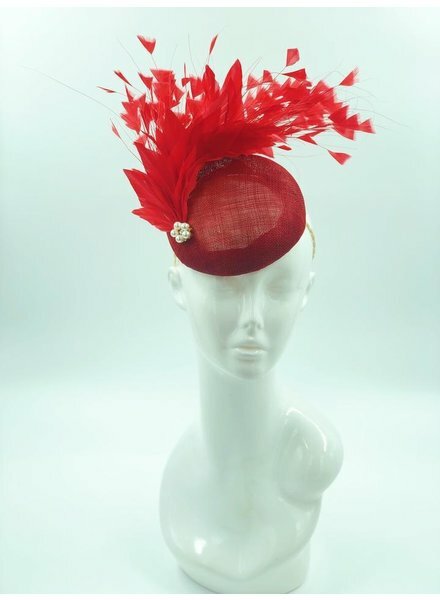 This fascinator is the epitome of elegance. 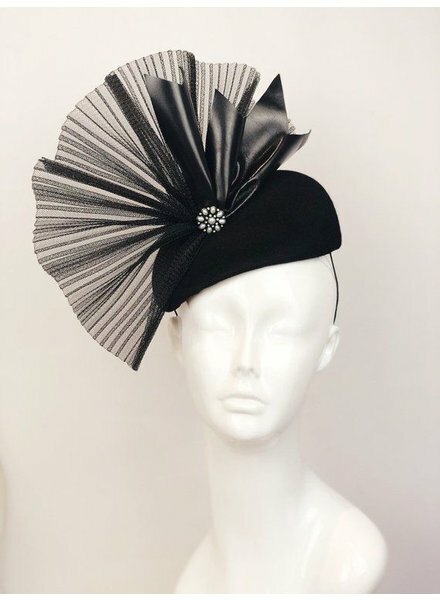 The Raven fascinator designed by Patricia Melican Millinery features a sculptural focal, leather petals and beaded center. 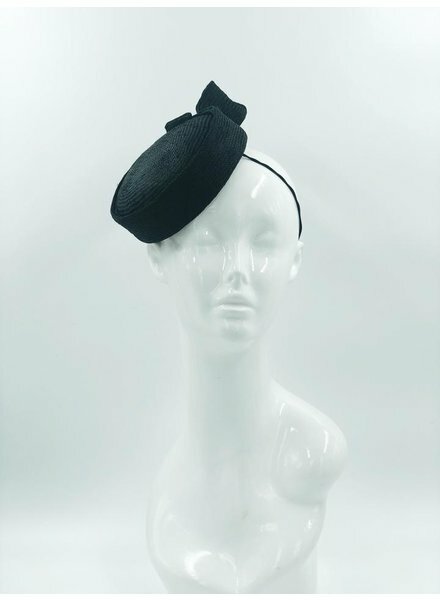 The Alaina Freeform Fascinator is designed by Patricia Melican Millinery. 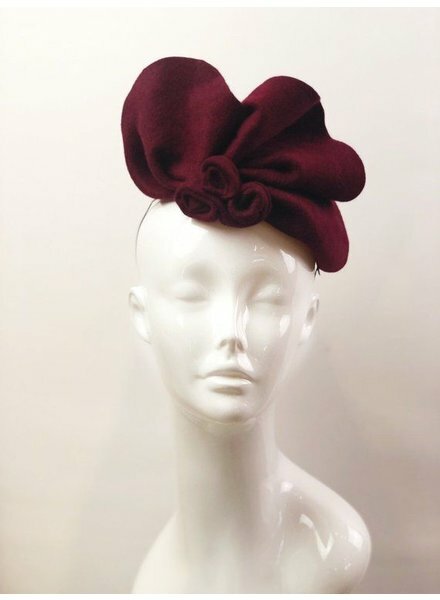 This Fascinator features a sculptural freeform design made from velour felt. 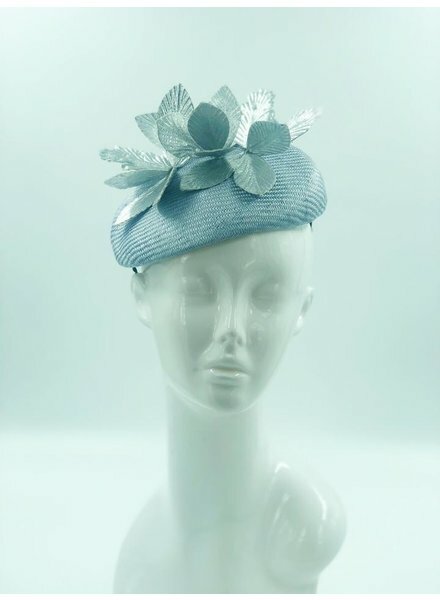 The beautiful Ali Button Fascinator is designed by Patricia Melican Millinery. 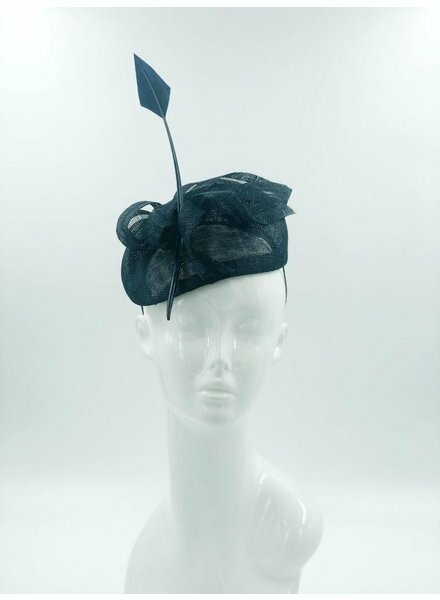 This handmade fascinator uses brown felt imported from Australia. It features a tone-on-tone felt curl and a show-stopping flower. 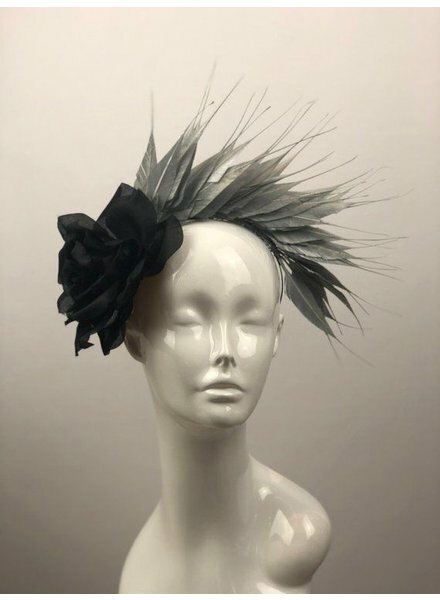 This lovely feather crown headband features a black large millinery flower and is made from silver diamond tail feathers. 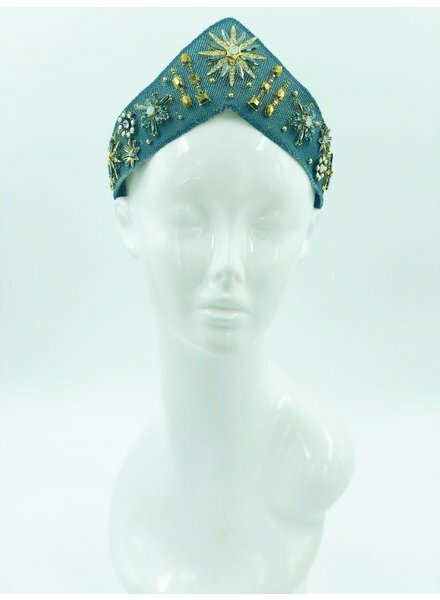 This is the perfect statement headpiece to complete your outfit. 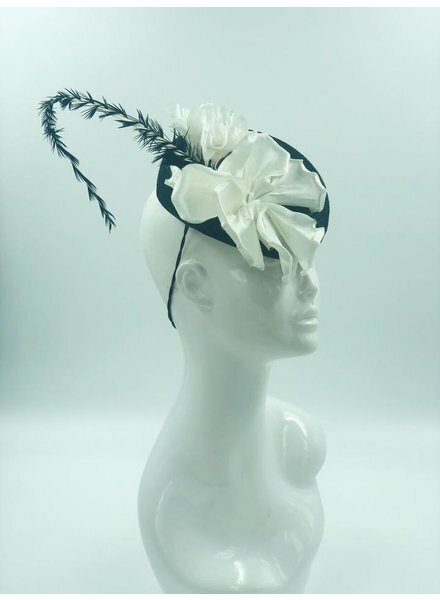 This button fascinator features chic black and white leather. 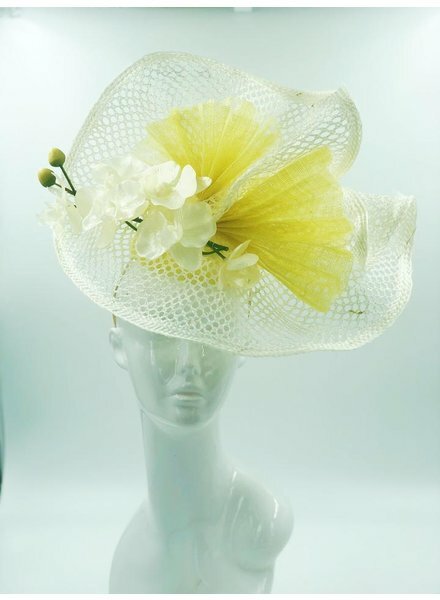 This is a one of a kind fascinator that was hand blocked on a wooden hand block. All the materials used are high quality and imported from Australia and Europe. 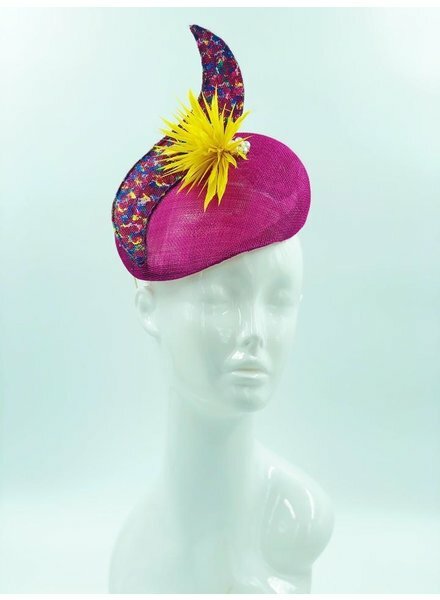 Are you looking for a fascinator no one will forget? Well here you have it. 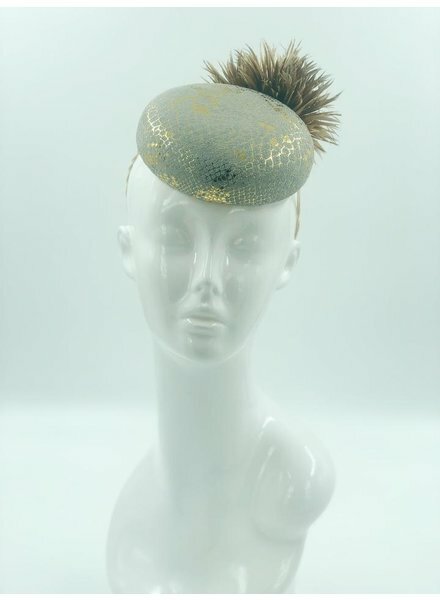 This fascinator is a beautiful beige color made from velour felt and features feathered quills, and a veil. 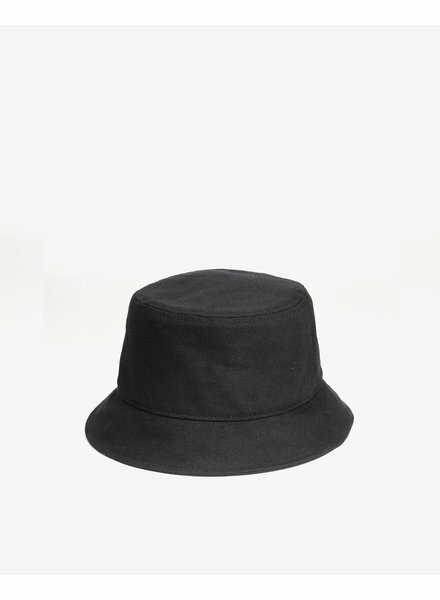 Complete any outfit with this casual bucket hat. 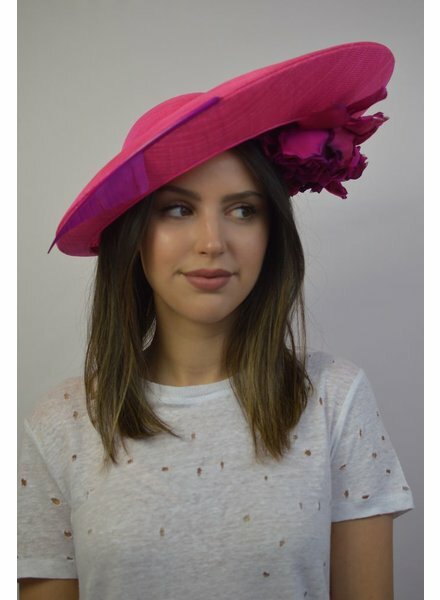 This classic style is perfect for keeping the sun off your face or keeping your head dry on a rainy day. 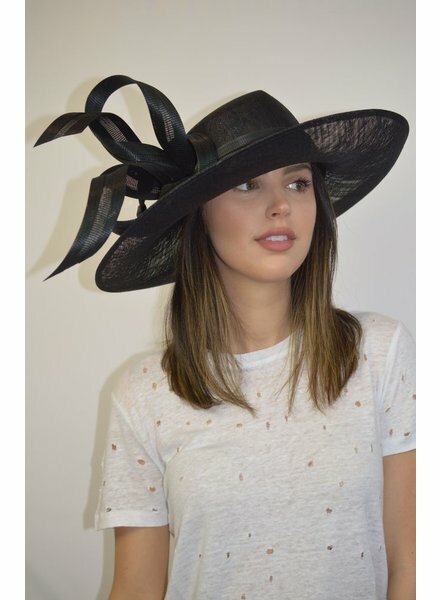 This wide-brim straw hat features a perforated leather band and 5" wide brim. Perfect for the beach or accessorizing a fabulous outfit. 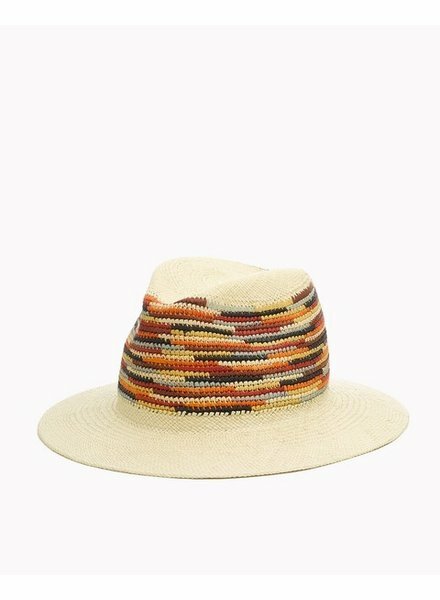 This adorable straw Panama Hat features an embroidered colorful band. Perfect for the beach or paired with jeans and a tee shirt.